Wanna join in then click the pic to go straight there. 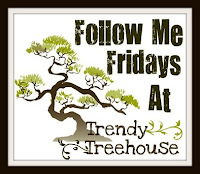 Welcome to the April 23 Follow me Fridays celebration hosted by Trendy Treehouse! She invites you to join us every Friday to get more blog followers and to follow other interesting blogs. It is all about sharing and having fun.